1. Look at the serving size, listed directly under the Nutrition Facts heading, to identify how much is considered a serving. 2. 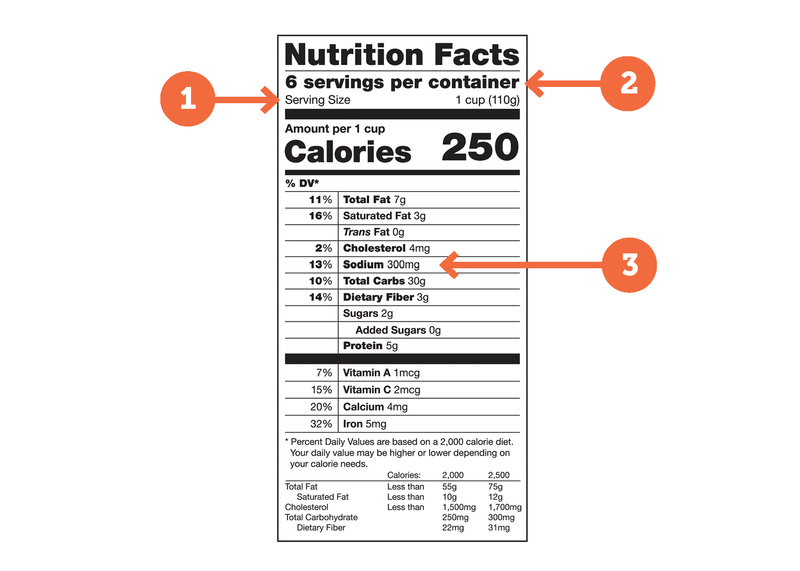 Figure out how many servings the package contains and how many you’re likely to eat. Then, adjust the amount of sodium to match your portion (e.g. 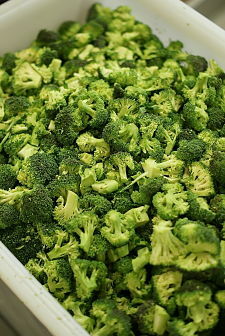 if you plan to eat two servings, multiply the sodium content by two). 3. How does the sodium content compare to the amount your health care providers have suggested as a goal? If you don’t have heart disease, kidney disease, or another illness that requires you to limit your salt intake, follow these guidelines: the American Heart Association recommends no more than 2,300mg, or one teaspoon, of salt per day, moving toward an ideal limit of 1,500mg per day for most adults. If you’re eating much more sodium than this, keep in mind that even a small change can make a big difference. Reducing your daily sodium intake by just 1,000mg—which is the equivalent of about a half-teaspoon of salt, or a can of soup—can have a significant positive impact on your health. For more tips and ideas on limiting your salt intake, check out five ways to eat less salt (without sacrificing flavor!) or download a free nutrition guide for people living with congestive heart failure. Meghan Perkins is Project Angel Heart’s registered dietitian. After a semester studying baking and pastry arts at culinary school, Meghan quickly found her passion for clinical nutrition and transferred to the University of Northern Colorado to earn her bachelor’s degree in dietetics. Meghan has worked in clinical and private practice settings, educating patients about how their food choices impact their health with an emphasis on CKD, diabetes, heart disease, celiac disease, and weight management. 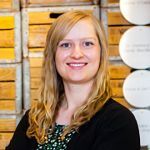 In her free time, Meghan enjoys exploring Denver by bike with her husband, trying new coffee and tea shops, hiking in Crested Butte, and relaxing with her dog Barney. This entry was posted in Uncategorized and tagged blood pressure, heart disease, heart healthy, low sodium, salt, sodium by Meghan Perkins. Bookmark the permalink.